Civica is an international software company and a global leader in public services technology with more than 3,000 customers across 10 countries. Mission: Our purpose is simple. We provide the systems and the technology know-how to help our customers excel, working with them to make a difference for the lives of millions of people and the teams who serve them. Civica – Why Work For Us? 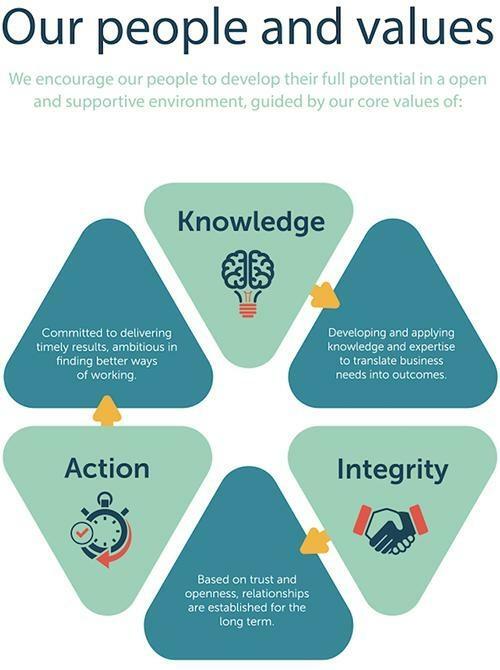 We are passionate about what we do, and we actively encourage and continually invest in employee development and engagement, together with initiatives to make Civica a great place to work. Our people, their qualities and their commitment to colleagues, customers and wider communities sets us apart. We celebrate diversity, support inclusion and actively develop leadership to encourage everyone to strive to be their best and to build a lasting and rewarding career with us. Civica was ranked as a Glassdoor Top 25 Employer 2019, with our approach to inclusion and diversity contributing to recognition among the best companies for work/life balance. People development starts the very first day a new team member walks through our door at Civica. ‘First Impressions' is the way we welcome new team members into Civica. We know how important it is for new people to receive a great welcome into a new environment where things are done differently. You’ll be invited to a Welcome Day where you will meet other new people across the Group and make friends straight away. Aligned with our Investors in People accreditation, we are committed to continuous learning and development. We encourage our colleagues to explore new skills and pursue their full potential, and through Civica’s Learning Academy we provide a consistent programme of training, development and talent management to support our people throughout their careers. Tailored to our people and business activities, internal and external training programmes are regularly reviewed and updated globally. During 2018, our people benefitted from 124,000 hours of learning and development to help build the skills needed to deliver for our customers. Recognising the importance of succession planning for our longer term growth, we expanded our eXel and Potential programmes for senior and junior management respectively. The success of these initiatives has included an increase in roles filled through promotion within Civica to 1 in 4, ensuring we are able both to bring in new expertise whilst maintaining our unique culture. "Investing in people is really what Civica is all about! Since joining as an Apprentice I’m still amazed at the camaraderie. From mentoring to hackathons, there’s always someone who understands what I need to reach my full potential. While some projects I’ve worked on have been daunting, I get to ‘play’ with new technologies with my team’s support." "I feel privileged to work with a team so passionate about delivering the best possible service for our customers. Reaching the right outcome and receiving great feedback when supporting a customer gives our team a buzz, because we genuinely want to go the extra mile." "This year I was nominated for the Business Support Award. However, being rewarded and recognised doesn’t just happen at the Awards, but throughout the year. You’re noticed for a job well done, despite the challenges." "At Civica, I enjoy the camaraderie of working as part of a team to achieve common goals and the knowledge and experience of my colleagues that make it happen. Opportunities to learn and grow within Civica are excellent, and my recent move from Local Government to Civica Health division is a perfect example. I feel privileged to work with a wonderful group of people in a fast-paced working environment." "At Civica we’re goal-oriented and there’s always an opportunity to stretch our capabilities. If I want to progress I feel acknowledged, which tends to lead to great opportunities. This year I created one single development team spanning two continents who act as if we’re in the same room! That ‘One Company’ feeling is really instilled in these kinds of results." The process took 2 weeks. I interviewed at Civica. One interview. Mostly competency based, with technical questions that seem more concerned with you explaining how you think through a problem. Relaxed atmosphere. Interviewed by executive level staff with varied technical experience. 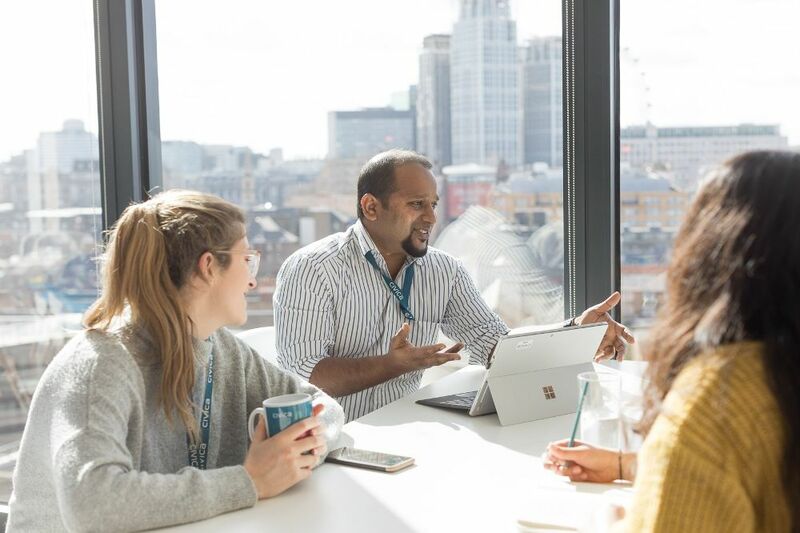 Glassdoor gives you an inside look at what it's like to work at Civica, including salaries, reviews, office photos, and more. This is the Civica company profile. All content is posted anonymously by employees working at Civica.